While 300 of the world’s best hockey players will be playing in the Olympics in Sochi, what about those that don’t hail from one of the 12 countries participating in the Games? For the players left out, we’ve constructed a ‘Best of the Rest’ roster of players hailing from nations that didn’t qualify. Here’s the roster breakdown by position. For NHL fans, AK-46 is most known for his time spent with the Montreal Canadiens and Nashville Predators. He’s continued his playing career in the KHL. The former first-round pick of the Canadiens helped guide Traktor Chelyabinsk to the Gagarin Cup Final where they were defeated by Dynamo Moscow. Joining Andrei is his brother Sergei who has followed a similar career path. He was also drafted by the Canadiens, played for the Predators and now find himself in the KHL. After playing for Avangard Omsk during the lockout, the former NHL 50 point scorer, has returned to the club to play a full season. Another former NHLer turned KHLer to make the team is Alexei Ponikarovsky. The Ukrainian’s best years came with the Toronto Maple Leafs when he had a five-year stretch from 2005-2010, averaging 20 goals a season. After bouncing around among several NHL teams, Ponikarovsky now plays for SKA Saint Petersburg. An interesting fact about Mikhail Grabovski is that he was actually born in Potsdam, Germany which borders Berlin. His best year came in the 2010-11 season when he notched 29 goals and 29 assists playing for the Toronto Maple Leafs. Frans Nielsen could arguably be the best current player of Danish decent. He’s having a good year for a bad team down on Long Island. He’s got 16 goals and 19 assists. Another good young Dane is Mikkel Boedker. He’s already had himself a career year this season with 14 goals and 16 assists. He’s also got a ton of international experience playing for Denmark in several World Championships. 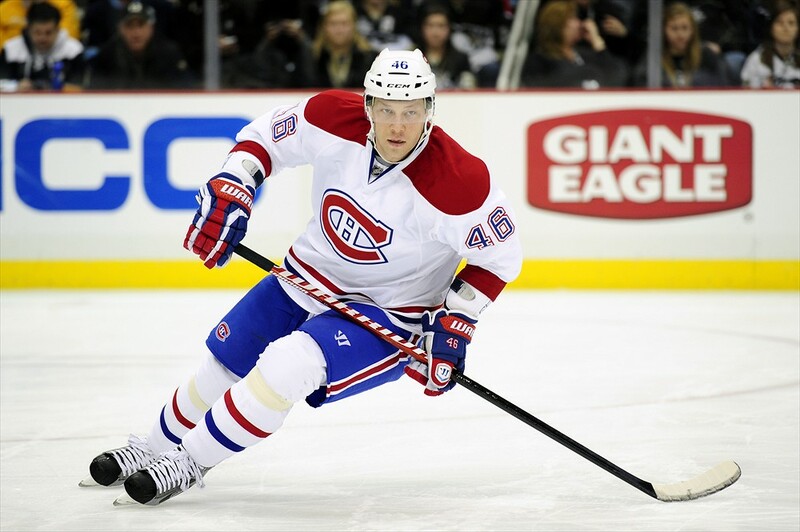 Rounding out a potential all Danish line is Montreal Canadien Lars Eller. While he hasn’t quite lived up to his first-round selection in the 2007 draft, he’s been a solid contributor the last few seasons. In what was somewhat of a surprise, Germany failed to qualify for the Olympics after losing to Austria. The country’s disappointment is a blessing for the ‘Best of the Rest’ team. Long-time NHLer Marcel Goc joins the squad. Goc has never lit it up the NHL, but has always been a dependable two-way center. The lone Lithuanian on the roster is Dainius Zubrus and is the only Lithuanian to play 1,000 games in the NHL. Zubrus and physical size is a welcomed addition to the lineup. His experience would make him a leader in the lineup and a possible captain candidate. Remember Rusla Fedotenko from his NHL days? Well, he’s still playing in the KHL. Fedotenko’s won two Stanley Cups of his own with the Tampa Bay Lightning and the Pittsburgh Penguins so he’d be looked a upon as a leader in the locker room. Stéphane Da Costa first made his mark in the NCAA. While playing at Merrimack College, he was Hockey East’s player of the year. Now, Da Costa find himself trying to permanently crack the Ottawa Senators roster. Jannik Hansen started playing professionally at the age of 16 so he’s no stranger to going against steep competition. He’s been a solid role player for the Canucks for several seasons. Playing for the Herning Blue Fox of the Danish Elite League, Regin won rookie of the year prior to being selected in the third round of the NHL Draft by the Ottawa Senators. Regin could be an option on the fourth line, battling for one of the finally spots in the lineup. 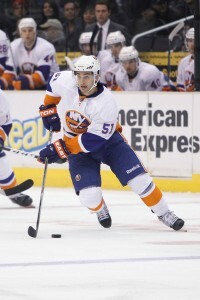 Kulakov represented Belarus during the 2010 Winter Olympics and has played for his country in a number of other international events. His international experience would be invaluable to the lineup. Despite not being drafted, Antoine Roussel fought his way into the NHL after playing junior hockey in the QMJHL, gradually improving each year. Roussel also holds Canadian citizenship, but competed for France during the 2012 World Championship. 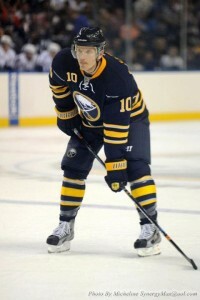 Possibly the best German hockey player alive, Ehrhoff will be the anchor of the defensive corps. and be expected to log big minutes. Look for him to play in all situations. Ehrhoff’s likely partner on the blue line would be Dennis Seidenberg. Seidenberg has championship pedigree as he helped the Boston Bruins win the Stanley Cup in 2011, recording 11 points. The third German to join the blue line is Alexander Sulzer. Sulzer is Ehrhoff’s teammate in Buffalo so the two would have instant chemistry, if Seidenberg would be paired up with someone else. Before coming to the NHL, Philip Larsen refined his game playing with Frölunda HC of the Swedish Hockey League. Now he’s trying to find his place in the NHL, first playing with the Dallas Stars and now the Edmonton Oilers. Vladimir Denisov actually signed an NHL contract with the New York Rangers, but never made it past the AHL level. He’s been able to carve out a career in the KHL playing for Dynamo Minsk before signing with Salavat Yulaev Ufa. After playing for Dynamo Minsk, Dmitry Korobov signed a two-year deal with the Tampa Bay Lightning. At 6’5″ he’s a big lengthy defenseman who adds some serious size on the backend. Oliver Lauridsen played collegiate hockey at St. Cloud State before being drafted 196th overall by the Philadelphia Flyers. Last season, Lauridsen played 15 games in the NHL, scoring 2 goals and notching an assist. 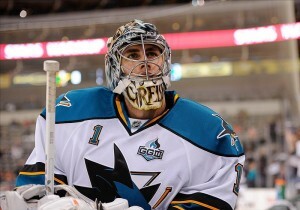 Thomas Greiss has made a living as an NHL backup goaltender, after being drafted 94th overall by the San Jose Sharks. He’s got previous Olympic experience, including a 35 save performance against Canada. Cristobal Huet was last seen in the NHL with the Chicago Blackhawks when he won a Stanley Cup behind Antti Niemi. Huet was eventually loaned to an NLA club and has continued his career in the Swiss league. During the 2011-12 season, Frederik Andersen lead the SHL in goals-against average and save percentage, before being redrafted by the Anaheim Ducks. He’s gotten an opportunity to play in the NHL and has performed well with the Ducks. That’s the ‘Best of the Rest’ roster. There are always omissions with these selections so feel free to voice your own opinions and suggestions.